Masaru Iwai was born in 1975 in Tokyo. He completed his doctorate degree in Fine Arts at Tokyo University of the Arts in 2009. Iwai incorporates the juxtaposition of cleaning/trash into his artwork under the overarching theme of “cleaner’s high”. Using a broad array of mediums such as installation, video, and performance, he makes a display of the desire intrinsic to our daily lives to clean, and furthermore he shifts the focus by questioning that cyclical action. Iwai’s solo exhibitions include Clean up 1. 2. 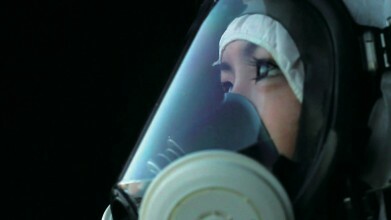 3. at Art Center Ongoing in Tokyo (2009) and Cleaner’s high #1 at Otto Maintzheim Gallery in Tokyo (2008). Group exhibitions include Re:membering – Next of Japan at Alternative Space LOOP in Korea (2009) and Double Cast at Tokyo Wonder Site in Tokyo (2007). The upcoming exhibition follows the 2010 two-artist exhibition Spontaneous Order with Mitsunori Sakano, making it Iwai’s second showing at TSCA and his first solo exhibition here. In recent years, Iwai has expanded his activity beyond Japan, including a residency in Taiwan and a group exhibition in Georgia. Iwai’s creative process involves gathering ideas from the various places he goes and using them in a way that connects each exhibition with the next to create a continuing story. While research is an important component of this process, the actions of “cleaning” and “washing” are universally understood and so delving into these concepts, no matter where the footage is shot or the cultural backdrop of that place, there are points that sync with the viewer’s own experience. Dancing Cleansing, the title for this exhibition, will also be made into a series of works, starting with this solo exhibition. Production of the featured video work “Dancing Cleansing – Okinawa, Hip Hop” began in 2009, shot in Okinawa after first researching the topic. In it, the protagonist Akemi, who started up her own dance studio when she was young and now teaches dance to children, goes through town mopping in rhythm. Interviews with Akemi appear in a documentary about Akemi’s classes that opens in theaters coinciding with the exhibition. The theme of “cleaner’s high” carries over into the Dancing Cleansing series and showcases Iwai’s skill in visualizing concepts as he tackles the problems facing Okinawa today.